The Southlands Industrial Estate development site has become a major industrial and warehousing estate servicing Port Botany and the Sydney Metropolitan Area. 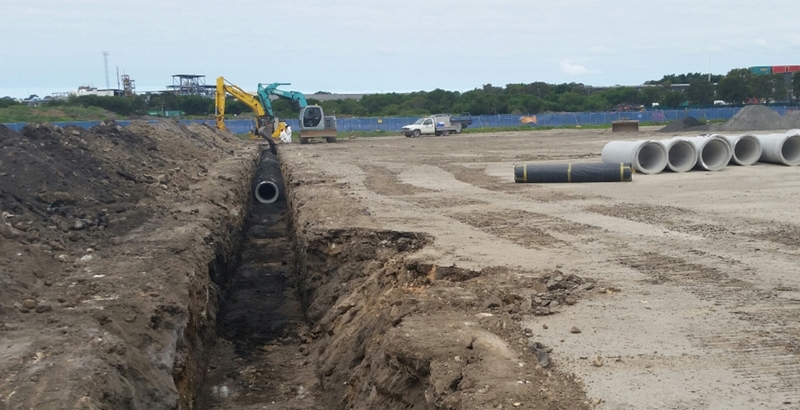 Enviropacific awarded Jonishan the contract for the installation of the stormwater pipelines on this Orica development. 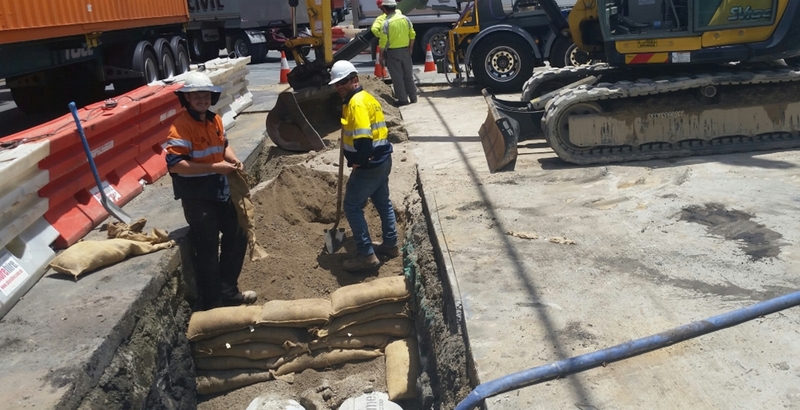 The project consisted of stormwater drainage pipework, including excavation & trenching, supply of bends & fittings, bedding, placement, jointing and backfilling for RCP Class 2 RRJ. 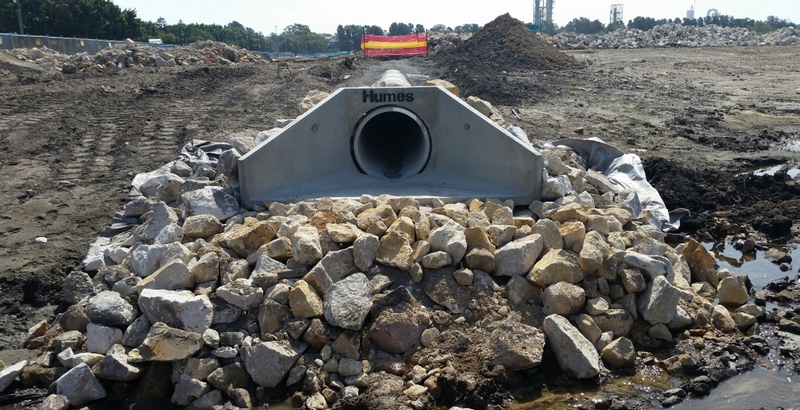 Stormwater drainage box culverts were supplied by Jonishan and installation included jointing and backfilling of precast culvert units and precast concrete base slab. 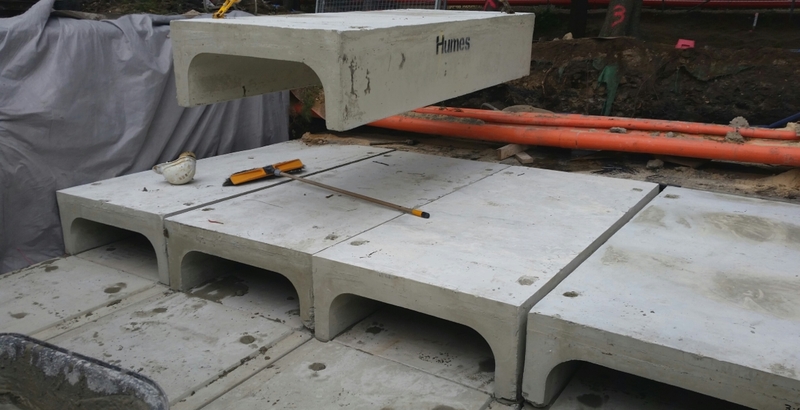 Included in the construction was excavation, supply & installation of drainage pits with grates, covers & inlets, step irons, benching and backfill. 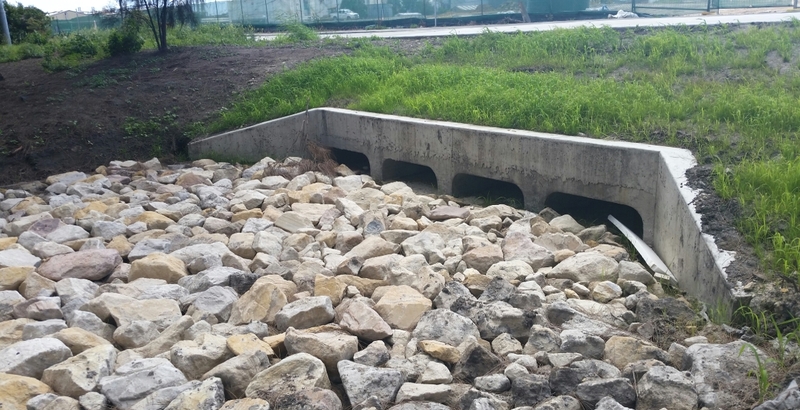 Precast concrete stormwater headwalls were backfilled for rock. Connection was to existing pits.